The Rancho Texas country night is a fabulous evening out for the whole family and includes transport and all your food and drink. 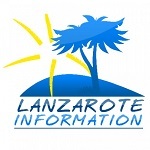 Which excursion are the most popular in Lanzarote? We share the information on which of them are most booked by our readers.